A membership based network of civil society organisation, Participatory Ecological Land-Use Management (PELUM) is concerned with the proposed regional laws that restrict the breed, sharing, exchange and selling of indigenous seed. 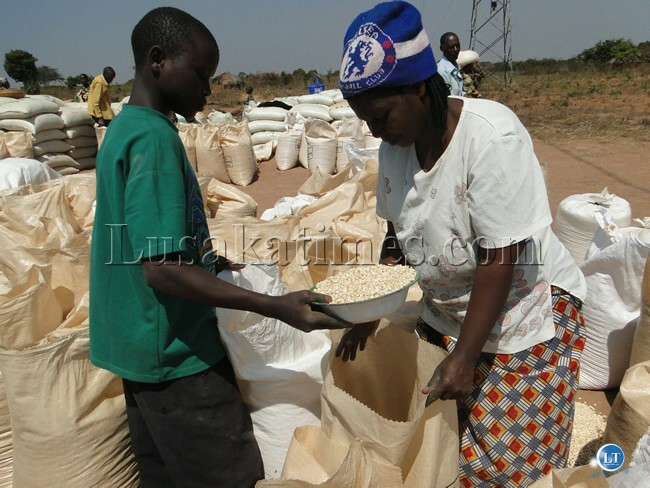 PELUM Zambia Association is worried that the informal seed sector, which is the backbone of the seed industry world over falls short of the requirements that spell the standards for seed to be certified and approved for sell at the market in the region. The proposed regional laws have strengthened patent laws, requiring individuals to patent seeds and obtain a license in order to sell seeds. PELUM Zambia Association Country Director Muketoi Wamunyima says the informal seed sector, who are the custodians of over 80 percent of the seeds, are facing challenges to meet the formal requirements of seed certification. Speaking at the media briefing in Lusaka today, Mr. Wamunyima noted that communities have over the years used their own traditional selection methods to keep and share seeds to be considered when coming up with laws. He said as an organisation, they are concerned with protocols such as the African Regional Intellectual Property Organisation (ARIPO) and the SADC Seed harmonization, over the need to support measures needed to facilitate the movement of seeds between countries in the region. He said his organisation feels that the protocols highly favour increased trade in the region, at the expense of protecting and promoting Zambia’s biodiversity and upholding the rights of the farmers and the country’s seed sovereignty. He has since called on the Zambian government to carefully look at the regional protocols and how they can impact on the agricultural sector, biodiversity and farmers’ rights. And speaking at the same briefing, PELUM Zambia Association Programs Officer Miga Wilfred observed that indigenous seeds risk extinction if government does not review laws to support the production of local seeds most of which are early maturing and resistant to pests. Mr. Wilfred noted that with the current effects of climate change, which results in floods and droughts, the local seeds could be ideal as they are able to withstand all these challenges. Allow people a choice. Those who want Monsanto can go Monsanto. Those who want to stick with indigenous seed can do so. Do not monopolize peoples’ lives like you are Stalin or some God forsaken foolish capitalist who cares nothing about perspective. Some of us always keep indigenous crop for our personal consumption and whenever necessary indulge in silly once-off seed for FRA’s sake. Very true. GRZ should not blindly subscribe to anything before taking a Benefit Cost Analysis. Remember what untold damage privatization you undertook blindly has caused to Zambia. Even this useless law in offing must be appraised before any signature is signed. African Regional Intellectual Property Organisation (ARIPO) and the SADC Seed harmonization have probable been bribed by Monsanto……this monsanto what’s to monopolize seed production and sale so only their seeds are sold…..
Monsanto was recently experimenting with a seed that only grows one crop and can not be replanted after harvest…that way poor farmers are forced to go back to them for seeds…. The PF wolves are really terrorizing us. What sin did we commit to have such selfish people in power who are ready to be sold to the highest bidder with no sense of remorse? This needs to come to an end or else we shall all be foreigners in our on country. It depends whether you want the power to save seeds to stay with the poor farmers who depend on farming to feed themselves, or wether you trust a profit-motivated multinational to dictate what seeds people can grow for the benefit of their rich shareholders. Personally I think the poor farmers should be respected and protected in their traditional and marginal sphere of influence.